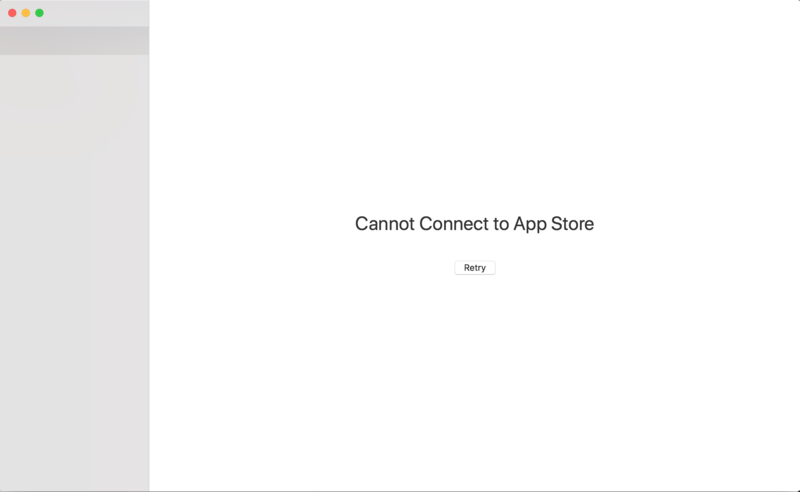 so I install new MacOS Mojave on my MacBook Pro (did not do a clean install, upgraded from high Sierra) but app store doesn't work. I couldn't find anything online on how to fix it, and I cannot even look for update without it. Since there is no official support for Mojave yet from Apple, I am hoping someone here can help. 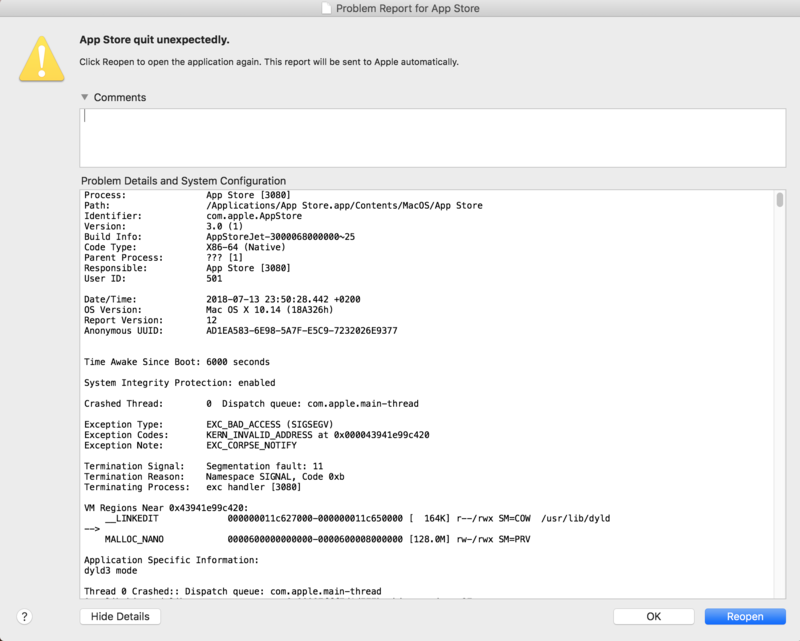 I am attaching a full crash report with system statistics right here. Also here are screenshots of how error looks: it cannot connect and then gives a crash. Hopefully, someone here will be able to help with idea on what to do, I know I am an idiot upgrading laptop I work on to Beta software but hell, curiosity got better of me. Any ideas are welcome, a just clean reinstall is out of the question ( I have nowhere to put files at this time and I cannot lose them) . All the information about the system are in the code, but if needed I will post it here. @bremner I did that but I am not sure it is working, ap crashed like 15 times while uploading files and I got no response. Is there anything to be done on my own? It is really difficult to personally diagnose the problems in beta software. I never run beta on my only drive. I run them on an external drive as a separate boot option, that way my day to day use is not compromised.